Now, it turns out that variations in the axial tilt—what scientists call "obliquity"—of the planet have significant implications for the rise and fall of the Antarctic Ice Sheet, the miles-deep blanket of ice that locks up huge volumes of water that, if melted, would dramatically elevate sea level and alter the world's coastlines. Marine ice sheets, note Levy and Meyers, are especially sensitive to heat delivered by ocean currents. Fast flowing inland ice streams of the West Antarctic are buttressed by floating ice shelves, which—if diminished or lost—raise the possibility of a runaway flow of West Antarctica's marine ice. 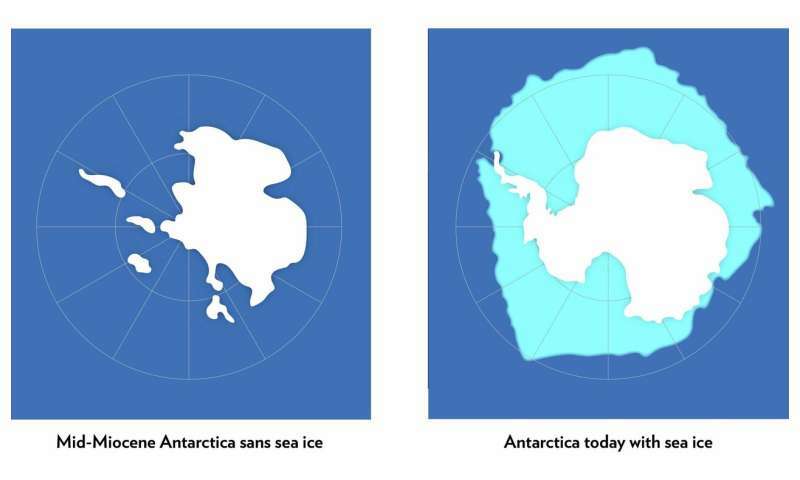 The new research suggests that a reduction in sea ice due to climate change would erode the barrier keeping the ice sheet—including the parts of it below sea level—in place. I don't call algore, whomever that is, because I am too busy calling BS on your insipid tripe. To Republicans the sky is always falling. If it isn't invasion by grey aliens, then it is yellowstone national park about to erupt or the planet Zenu about to collide with Earth. 12 hours ago the Republican Drudge report was reporting that a swarm of locust in Meca was proof that the end of the world was neat, and that the pentagon had created a super-human intelligence out of insect brains. Anonym518498 is just typical uninformed Fox News lover of disinformation. There is an inverse relationship between how informed someone is on climate change and how often they mention Al Gore, as if he has Anything at all to do with the science. There isn't a major professional science organization in the World, with relevance to earth sciences, that disagrees with AGW. Nor is there a science dept. of a major university in the world, that disagrees with AGW. At Least 97% of climate scientists in the World agree on AGW, probably closer to 99%. But some people think they are smarter, based on their complete ignorance of the subject. = a result of the dumbing down of America and a Massive PR campaign of disinformation, mostly funded by the fossil fuels industry, who's own scientists told them AGW is real more than 30 years ago. AGW is a well-funded economic-reality, choreographed by a globalist cabal intent on using it to surreptitiously control demand for fossil fuels post peak oil. What's more, they see it as a means of creating financial shackles that will bring all the nation states closer to one world government. CO2 increases AFTER temperature increases. It wasn't hot because of CO2, there was CO2 because it was hot. So the 20th century warming helped the increase in CO2, not vice versa. Note the CO2 rise came after the warming. CO2 is not a poison or a problem, that's what gets me about climate change hysteria. Not the fact that it's slowly warming, and has been for a long time.. If 3% of scientists denied Calculus worked we'd be in BIG trouble. "If 3% of scientists denied Calculus worked we'd be in BIG trouble." No we wouldn't. They would be laughed at and marginalized just like hand full of scientists who deny the severity of anthropogenic global warming are marginalized and laughed at. One of the anti-warming scientists for example has been outed as believing that the sun is a giant ball of solid iron. It can. Where changes in the Earth's orbital and rotational parameters drive climate then CO2 is driven by those factors as a feedback. Those rotational parameters take tens of thousand of years to make their changes. We observe Earth's temperature to be changing much more rapidly than can be accounted by anything other than CO2. If CO2 is not a metabolic poison then why does your body go to such extreme lengths to get rid of it? Try holding your breath for 3 minutes and get back to us on how that Metabolic byproduct (CO2) did not cause you 2.5 minutes of agony. Do you intend to remain a fool for the rest of your life? So says the anti-science Kook. Meanwhile Global temperatures are up 1.1'C and rising rapidly. A rise of 8'C is a human extinction level event. yes 34 million yrs of orbital wobbles and driving cars , thats wot did it !